An intimate evening of music with The Fabulous Bagasse Boyz . . . sounds heavenly doesn’t it. Well your dreams have come true due to the diligent efforts of Robert and Dianne Calmes. They have developed the Calmes House Concerts and it is the perfect way to listen to music. They have had many talented acts from the area such as Smithfield Fair and The Fugitive Poets and touring acts like Ben Bedford and Brother Sun. The Fabulous Bagasse Boyz had the honor of being the first performers to do the Calmes House Concerts and amazingly enough, they kept it up after that and got better and better. Once upon a time, many years ago in the early 1950's, in four very divergent parts of the country, four lovely young ladies each gave birth to a bouncing baby boy. These mothers were filled with joy and hope for the future for their young offspring. But in 2002, these mothers' hopes were dashed when the grown boyz converged together to form an alliance. There was much consternation from all corners as this axis of goobers became The Fabulous Bagasse Boyz. Hans "Fritz" Mayers on banjo and mandolin, Willi Sager on bass, Van Glynn on fiddle and Rex Hall on guitar came together with the sole purpose of humiliating the musical world with their slip-shod musicianship and annoying arrangements. This was their destiny. The Boyz have released a couple of albums and one, Not 'Yer Daddy's Bluegrass released in 2010, had one particulary catching song on it, "Day After Day" that has something to do with getting up early, watching the chickens looking for something to do and, drinking that first cup of java. The Boyz will be back for an encore presentation at Calmes House Concerts on Saturday, March 21st starting at 7:00 PM. They are located in Baton Rouge and the cost is $15 per person. You can make reservations, get seating information and directions at calmeshouseconcerts@gmail.com. We will play for about 2 hours with an intermission in the middle. We hope to see old friends and make new ones. Don’t miss out on this special event. And in other upcoming events, The Boyz will be at the Lagniappe Dulcimer Fete in Port Allen on March 12 and will close out the seasonal concerts at the Old Feed Store Music Series at Marsolan’s Feed Store in Covington on May 30th. The Fabulous Bagasse Boyz are just fun to listen to. 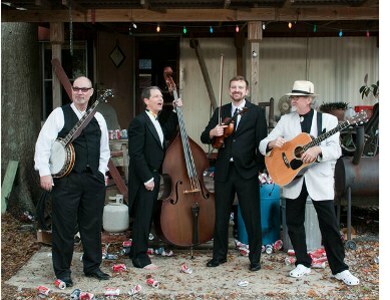 They've produced some fun bluegrass music that isn't over-polished and is more down-home style. The kind of bluegrass music I enjoy. Don't take the Boyz too seriously or you just might hurt yourself. In fact, it is time to get serious and throw all seriousness aside. This is the kind of music your mama told you about and told you to avoid so, you know its just what you've looking for.